Christopher J. Ruhm is Professor of Public Policy and Economics at the University of Virginia. He received his doctorate in economics from the University of California at Berkeley in 1984. Prior to joining UVA, in 2010, he held faculty positions at the University of North Carolina at Greensboro and Boston University, and was a Postdoctoral Research Fellow at Brandeis University. During the 1996-97 academic year he served as Senior Economist on President Clinton’s Council of Economic Advisers, where his main responsibilities were in the areas of health policy, aging and labor market issues. He is currently a Research Associate in the Health Economics, Health Care Policy, and Children’s Programs of the National Bureau of Economic Research and a Research Fellow at the Institute for the Study of Labor (IZA) in Germany. 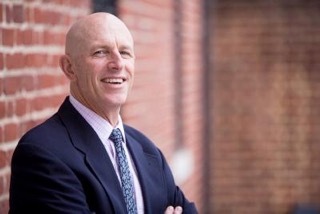 Professor Ruhm’s recent research has focused on examining how various aspects of health are produced – including the rise in obesity and relationship between macroeconomic conditions and health – and on the role of government policies in helping parents with young children balance the competing needs of work and family life. His earlier research includes study of the determinants of health and risky behaviors, effects of job displacements and mandated employment benefits, transition into retirement, and the causes and consequences of alcohol and illegal drug policies. He is co-author of Time Out With Baby: The Case for Paid Parental Leave (published by Zero to Three) Turbulence in the American Workplace (published by Oxford University Press) and has more than 80 pieces published as book chapters and articles in economics, public policy and health journals. His research has been cited in national and international media outlets such as the New York Times, Washington Post, Wall Street Journal, Money Magazine, USA Today, Business Week, CNN, ABC, CBS, BBC and NPR. Ruhm has received external research funding from a diverse set of organizations including the U.S. Department of Labor, National Science Foundation, several of the National Institutes of Health, the Russell Sage Foundation and Robert Wood Johnson Foundation. He is currently associate editor of the Southern Economic Journal, Journal of Population Economics and International Journal of Information Security and Privacy, on the editorial board of Economics Letters and the Journal of Labor Research, on the Board of Directors of the American Society of Health Economists and a steering committee member of the Southeastern Health Economics Study Group. From 2009-2011, he served as Vice President of the Southern Economic Association.